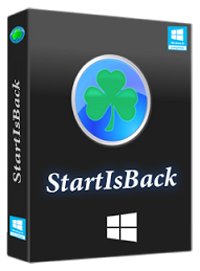 StartIsBack returns to full-featured Windows 8 start button Start menu, the same as in Windows 7. StartIsBack significantly improves the usability of the desktop and make a new screen in an orderly, more convenient, fast and stable. Windows 8 forces you to organize new Start screen which can quickly become a long list of mess with automatically pinned programs. This is no longer the case with StartIsBack. If you turn Start screen into Apps screen, you won’t have the pain to manage two Start places.